Welcome to Inner Light Acupuncture and Healing Therapies health clinics located in Blackrock, South County Dublin and Tinahealy, Co. Wicklow. Ample parking is available in all locations and daytime, evening and weekend appointments are available. Founding member of AFPI (Acupuncture for Fertility & Pregnancy Ireland). We treat all health conditons and have a special interest in womens health, fertility, IVF support, pregnancy and childbirth. We offer a range of holistic treatments for all your acupuncture needs including stress management, cosmetic acupuncture and facial rejuvenation, sports injuries, back pain management, headaches, stress, anxiety, insomnia, depression, digestive problems, smoking cessation and much more. The clinic is conveniently located to easily serve local areas both central to Dublin city and South Dublin, Stillorgan, Monkstown, Foxrock, Dun Laoghaire, Dundrum, Dalkey, Killiney, Sandyford, Stepaside, Mount Merrion, Sandycove, Sandymount and in the Wicklow area Tinahealy, Aughrim, Arklow and the surrounding areas. We also offer a FREE Acugraph Digital analysis of your meridian energitics to evaluate any imbalances in your body that could be causing you ill health. You will receive a full report of your current health and if you wish to proceed with treatment we can work out a plan to best suit your needs. So contact us now to book your health screening. 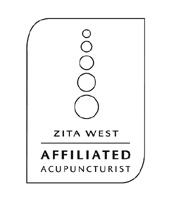 Member of the Acupuncture Foundation Professional Association (AFPA). Acupuncture treatments are approved and reimbursable by healthcare insurance providers.